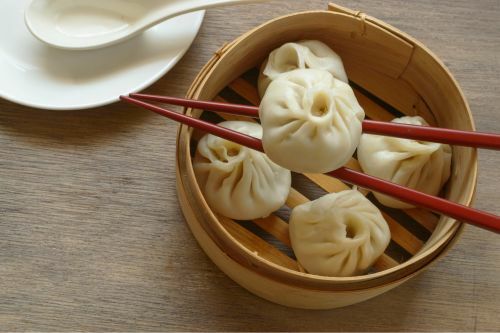 Menulog delivers for Miss Zhou's Dumpling & Spicy Wok so you'll be able to track your courier on a map. Enoki, king oyster mushrooms, sweet potato noodle and veggies. Prawn, fish, baby cuttlefish and squid. Pan fried juicy pork buns.